In late 2012, I was building multiple affiliate campaigns, websites and projects with very little thought process or planning. I would wake up in the middle of the night with an idea, create a brief, and post it on oDesk or DigitalPoint forums to have some developers apply for the task of designing and developing my project. This was obviously NOT a good business practise, and like most entrepreneurs, I went through my fair share of failed ideas and thousands of pounds were lost. However, what this process did teach me (always take the positives and learn from your mistakes) was how to outsource and find the very best designers and developers that were available at the time. I, like many, ran through multiple workers across all of the major platforms and most of the companies local to me, and basically sifted my way through the good, bad, and ugly to find myself a perfect little team. The problem was and still is to this day is that I’m a perfectionist. If something online is mine or one of my companies, then I want it to look the best, perform the best and be the best! It took me 3 attempts and years to launch this blog! Again taking the positive from a negative situation, that gave me a VERY high standard for finding the best people to work on my projects and websites. By the time 2013 hit, I had lost thousands of pounds in my “testing” stages, but I had found the best designers and developers online. At this stage I was growing CPAFix, now known as AffiliateFix, and was very close with multiple network and offer owners. I would regularly talk with them about business and we’d update each other on what was going on in our working lives, share projects, etc. It was during one of my many late night conversations with my good friend, Tim Burd, when he said to me, “Hey K, your sites all have beautiful designs. Is there a way I could hire your designers?”, and just like that, Landing Page Guys was born…but not as we know it! You see, I’ve ALWAYS been one of those people that if I make money from something, I automatically think “how could I turn this into a business”. I guess this was one of those times after speaking with Tim. I spent the next few months working on acquiring a good domain, brand and team of designers and developers in order to get this new business venture going. 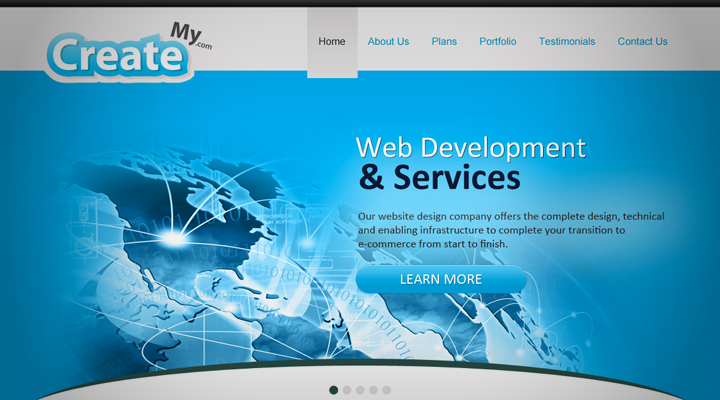 The domain I acquired from a private domain broker was CreateMy.com. The whole thought process behind it was we would be creating peoples website or .com’s so this was a clever name for the company. We started small by working with Tim and a few select associates of his. I had never planned to run a design and development company but we were doing “ok”. The trouble was, whilst we did mostly affiliate landing pages, we were branded as your everyday design and development company. We were literally in a market with thousands of other design companies! You see, the majority of jobs and tasks we did were for affiliates, advertisers or lead generation companies – all of which wanted landing pages! 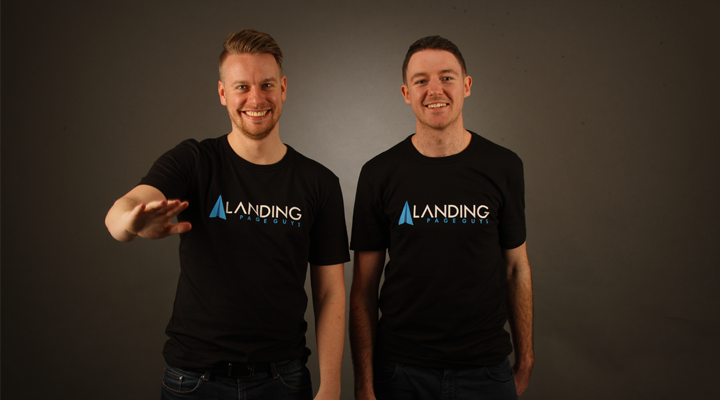 Now although we were trying to be the jack of all trades and had spent thousands setting up this brand, I suddenly turned to Andy and said “Let’s become the GO TO guys in landing page design”. It was a risk because we had something that was making a steady income and keeping 4 people employed, but we knew we could never compete at this stage in the broad design market. That week we grabbed the domain LandingPageGuys.com and started to work on our new brand and vision. You would literally be amazed at the results we had within two weeks of changing our name and brand. We were the same people, same team, same prices, and same products, but within two weeks had received more enquiries and leads than we had in the past two months as CreateMy.com! Think about it, if you have a problem with your windows who are you going to employ, the general jack of all trades builder who fixes the odd window or the window fitter who specialises in windows? I know who I’d choose! This was in April 2013 and since then our annual profit has quadrupled that of when we were CreateMy.com. We took a risk, and touch wood, it has more than paid off. Sometimes in business people think you have to cater to everyone or have to be in a big market to achieve big results; however, more often than not, if you become the go to people for that one specific task or job, you can dominate the market especially if theres a gap. Yes, it may well be a much, much, much smaller market, but you can claim 50% of a smaller pot rather than 1% of a stupidly big one. This can often be said for affiliate campaigns also; sometimes the smaller or more niche markets get forgotten because you see the big boys playing with diet or health offers and think for some reason you can compete. Those guys have way more experience, money, and power to manipulate a broad audience. Instead, why not try and find a need or hole left in a more targeted audience and try and fill it. Imagine if you could dominate that market yourselves! We changed our angle from CreateMy to LandingPageGuys and now dominate the affiliate landing page space market with one other key player with whom I have no issue sharing it. We managed to more than quadruple our profit within one year and now have a team of 14 full time staff. Targeting doesn’t always work, but in this case, I wouldn’t ever look back.